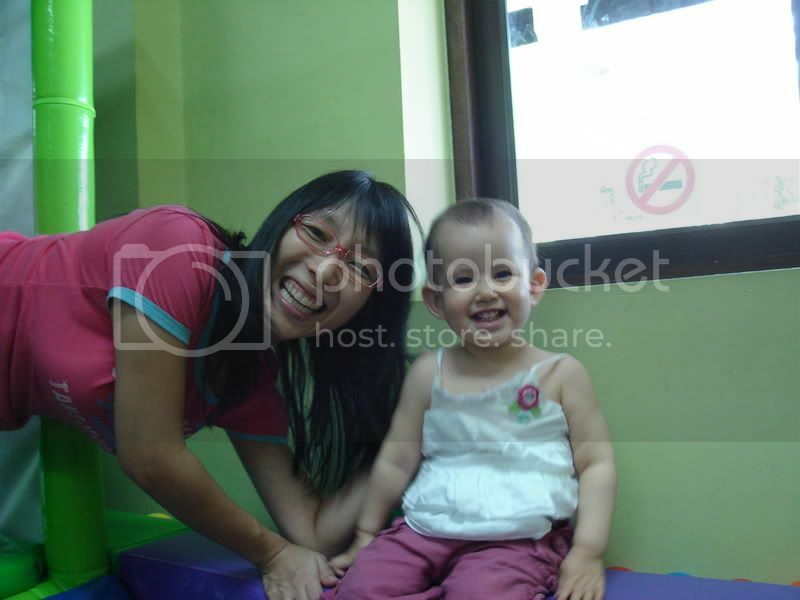 Laetitia is having a fabulous time in Singapore. Her sleeping routine is getting more reasonable, 10pm to 8.30am. This means that we can take her out for dinners and also have some decent sleep. 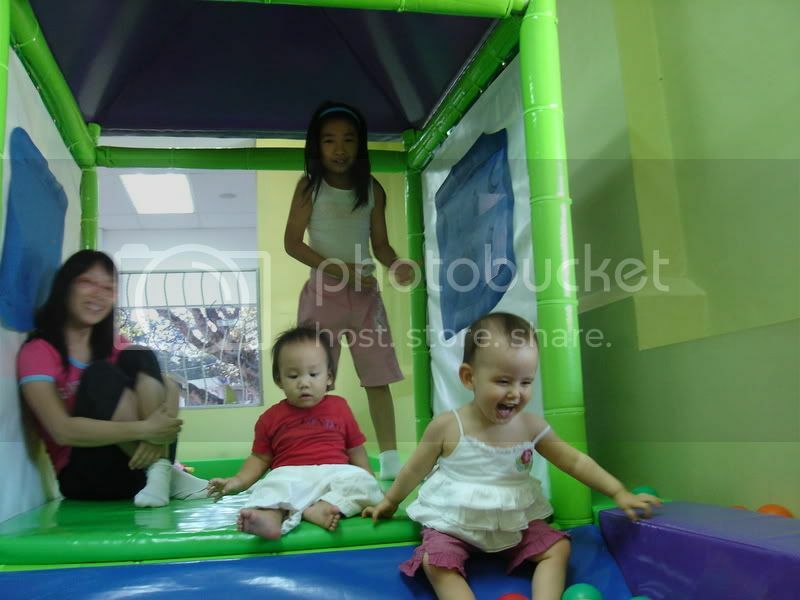 And the day can be filled with different fun activites for her. So far we have gone shopping and she loves to walk in the malls. The pretty marble flooring catches her attention. The loveliest ones are at Suntec City, they shimmers! We have also filled her time with splashing time in the swimming pool (I think we have been about three times in less than a week). 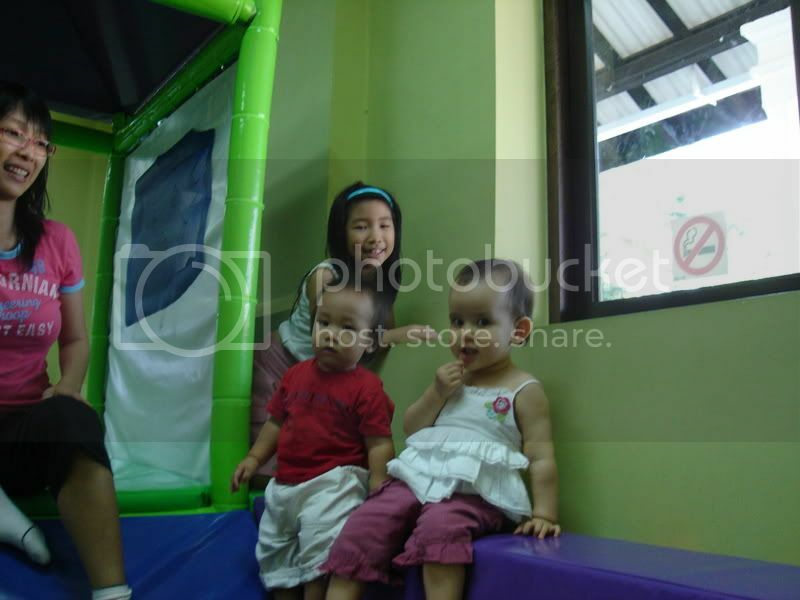 We also went to this place called Bambini where she met up with Auntie Michelle and the kids. She played a lot with legos and her cousins. 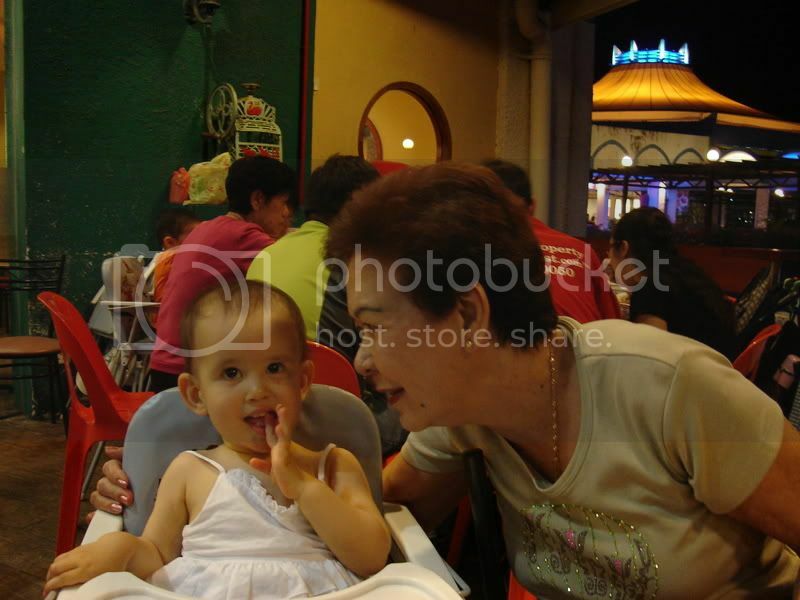 We're planning trips to the zoo, the botanical gardens, maybe the bird park, sentosa and the aquarium... Thanks to my good friend Jaimie, we have a car to use and it has made travelling around so much easier. 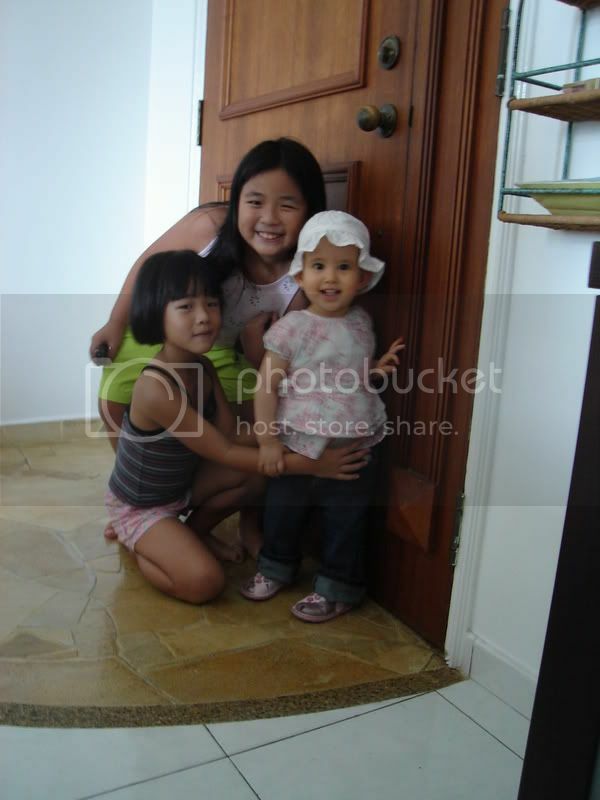 A photo with her cousins Natasha and Natalia before going out. An enjoyable time at Bambini with Auntie Michelle, Vanessa and Aaron. Buidling or rather destruction time playing legos at home. 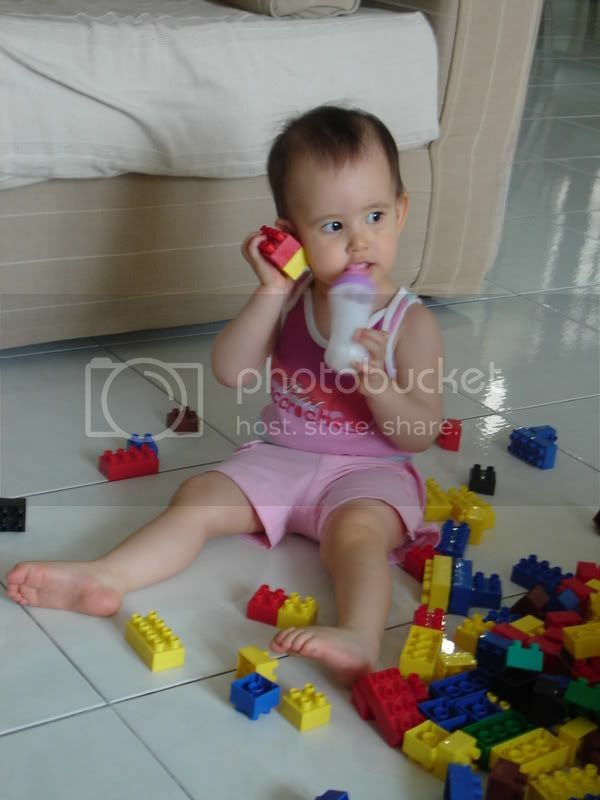 In this case, she is pretending the lego is a phone while drinking on her play bottle. How will our lives change?